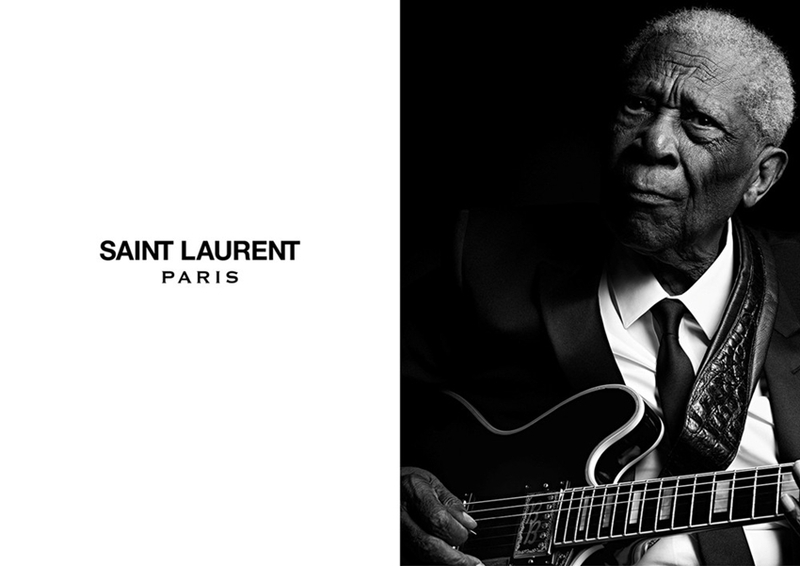 From April 2013 the house of Saint Laurent started the music project as a result of Slimane’s interest in both music and photography, last season he photographed Courtney Love, Marilyn Manson that causes a big stir, complimenting the fw 2013 show that showed the new punk-grunge vision of the artistic director for the house. “Cassser le Codes” the french love to say when it comes to completely changing the heritage codes that have built the brand, at the beginning I was against it but after this morning I saw the back cover of the InRockuptibles in the office with one of the FW ads featuring Chuck Berry (One of the three of the season : Jerry Lee Lewis and B.B. King) I got it, this new perspective of helping a house that was struggling to survive create a new story where other people that maybe before they would have not identified with , younger, older now I see it is going both ways. 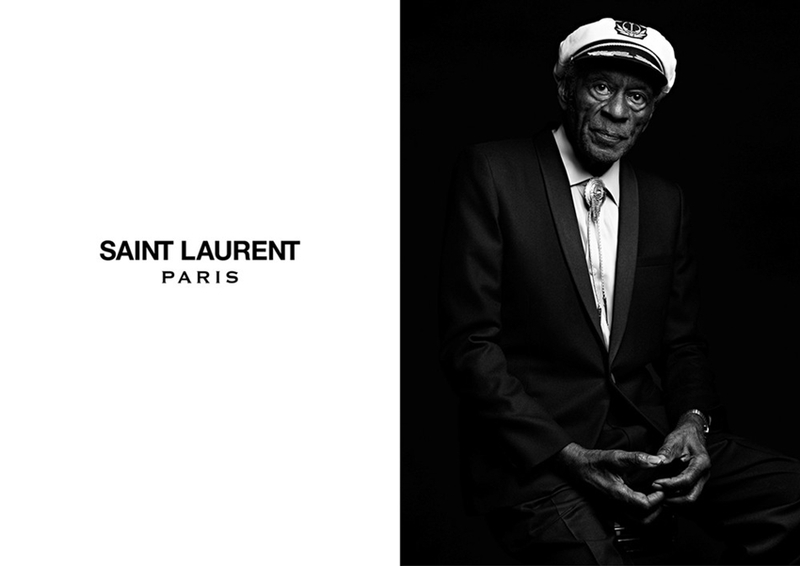 Each “music legend” was photographed in their base, Vegas, Missouri and Missisipi, of course all them where wearing a Teddy of Saint Laurent. 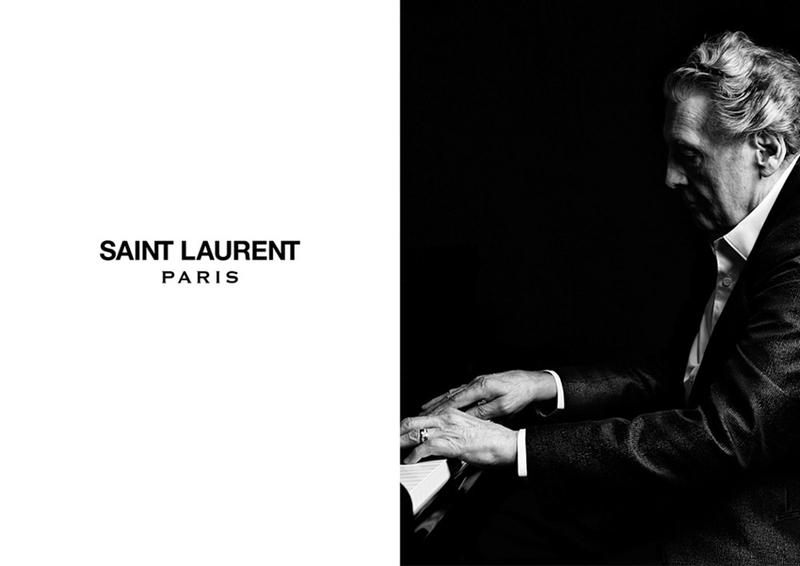 Exciting to see what is coming next in the mind of Slimane.